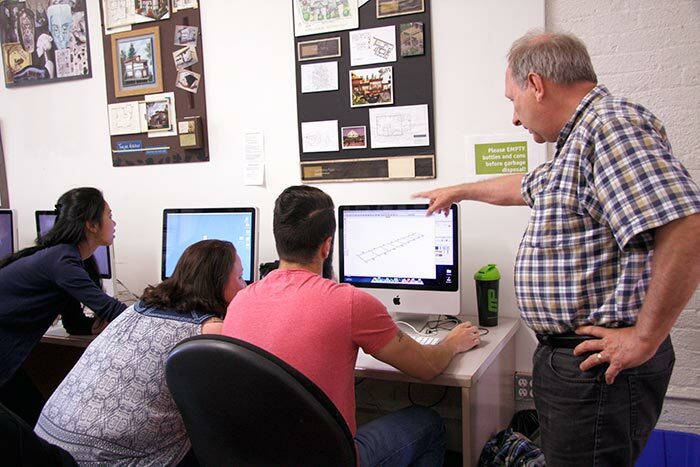 PDA provides quality education in the Design Arts. From our earliest program offerings in Interior Design, the Academy has grown to become the pre-eminent private Design School in Victoria. The academy's instructors are working professionals who bring current, up-to-date ideas into the classroom. Our classrooms and studios are bright and well equipped. Our computer labs are home to Macintosh computers with cutting-edge software, making certain that we meet and exceed design industry standards. Our limited class size guarantees that students get the individual attention they need to successfully master new skills. The Pacific Design Academy is a designated college by PTIB (British Columbia Ministry of Advanced Education), and has authority to grant diplomas in all full time courses listed. Visit our website for more details about our programs.